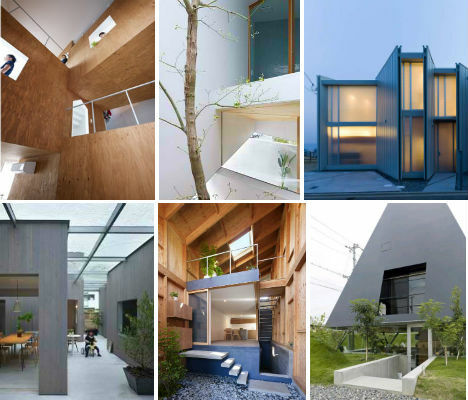 Houses that look like little more than concrete or steel boxes from the outside offer exceptionally creative, efficient and welcoming interiors conceived by Japan’s Suppose Design Office. The architecture firm has mastered the art of turning tight lots into spacious multi-level homes, and bringing the outdoors in with day-lit courtyards and gardens flourishing under transparent roofs and skylights. 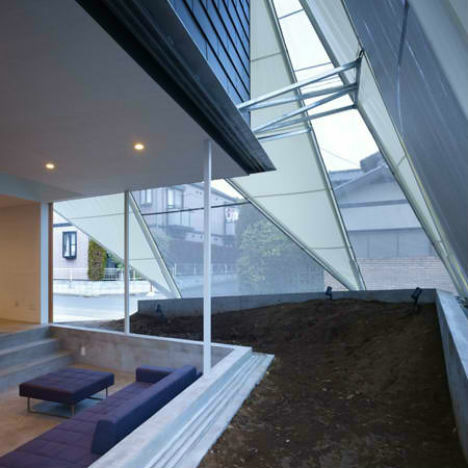 A series of disconnected structures are enclosed within a glass shell in this beautiful Buzen home, creating the feel of a private neighborhood where children can safely play. Each individual room feels like its own house, with the day-lit hallways as streets. 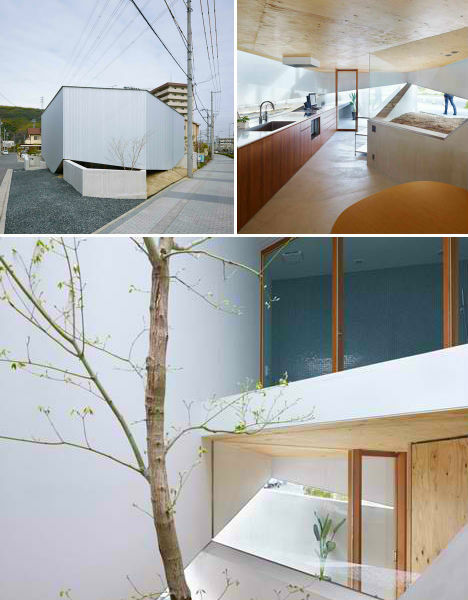 This ultramodern home in Otake is built to capture the optimal amount of sunlight each day for natural light, natural ventilation and temperature control. 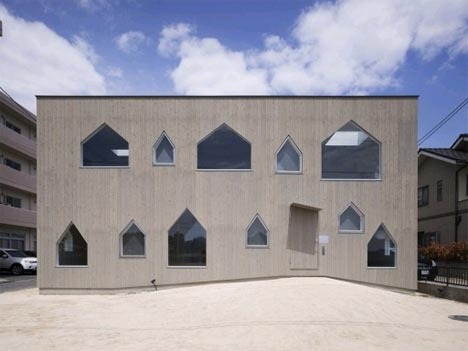 This passive solar design works with nature to cut heating, cooling and lighting costs. 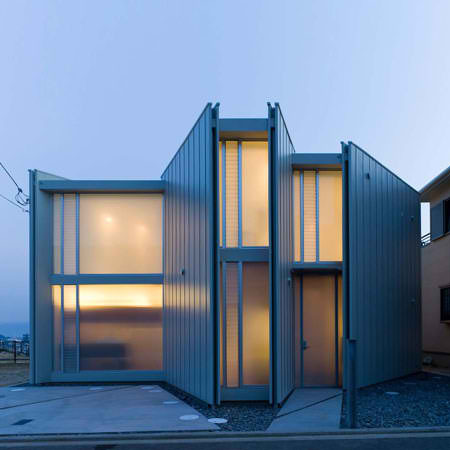 Located in Obama City, this house looks from the outside as if it might be dark and industrial inside; the geometric white shape doesn’t have a single exterior window. 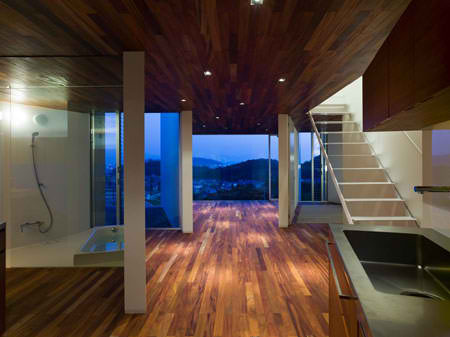 Yet, step inside and you’ll find a bright and open space lined with warm wood. 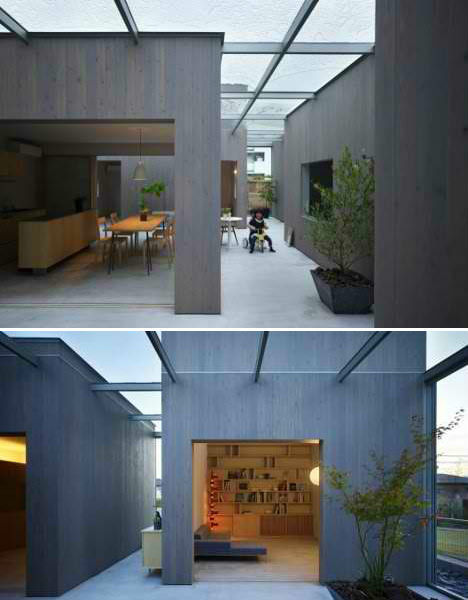 The interior of the home is divided with internal courtyards, many of which are illuminated with large skylights. 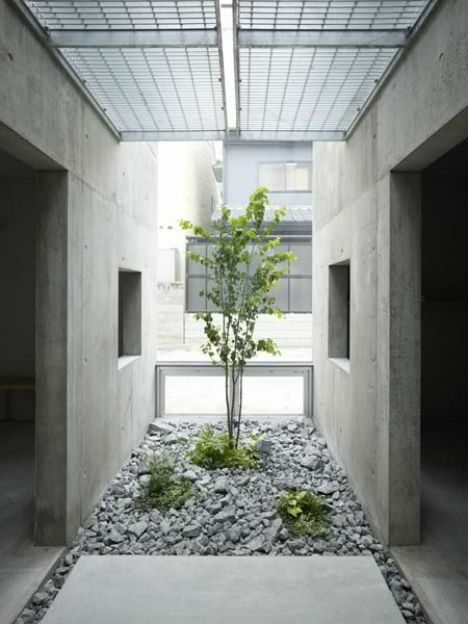 Copious amounts of wood, living trees and stones give the House in Seya the feel of an indoor garden. 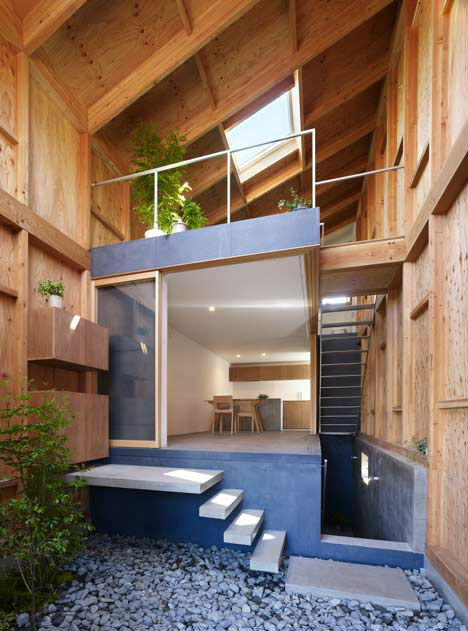 A pebbled interior courtyard leads to the living areas of the home, which is enveloped in a towering wooden frame that makes it feel much larger than it actually is. 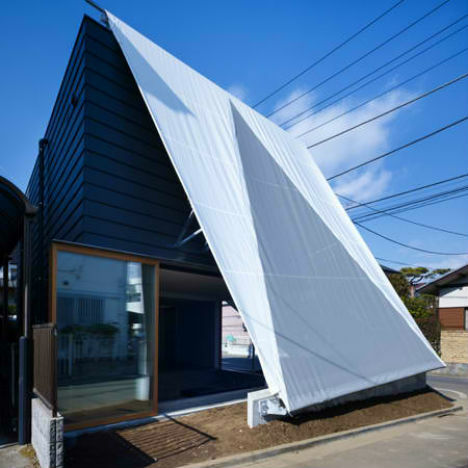 Located in a residential area of Tokyo, this home features a garden that is cordoned off from the street by a large tent-like addition. The tent functions as a roof, wall and fence, making this outdoor area more private. 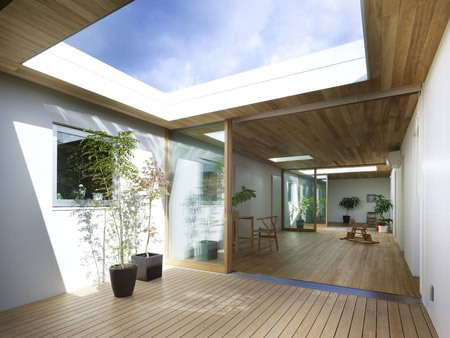 Large sliding glass doors give the garden the feel of an indoor/outdoor extension of the house. 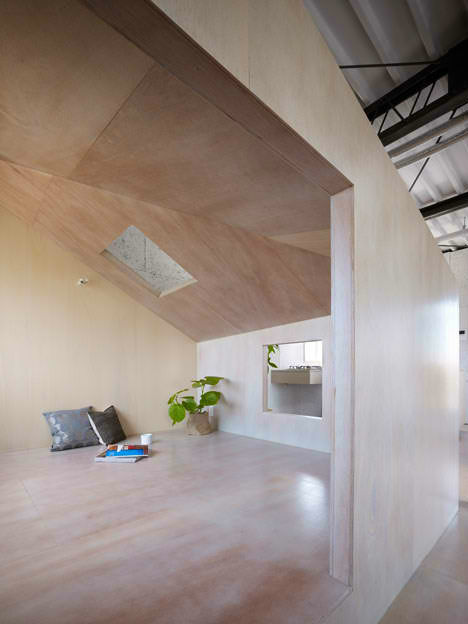 Making homes on small lots feel more spacious is Suppose Design Office’s specialty. 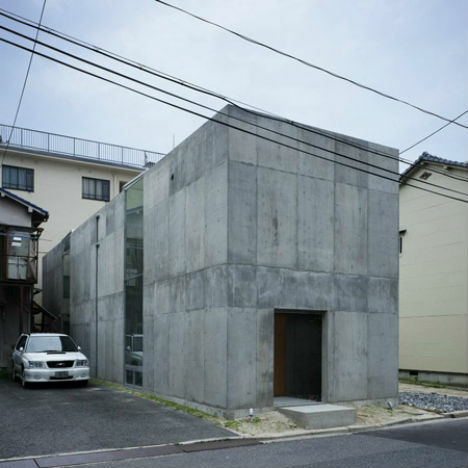 This home outside Hiroshima is a great example. 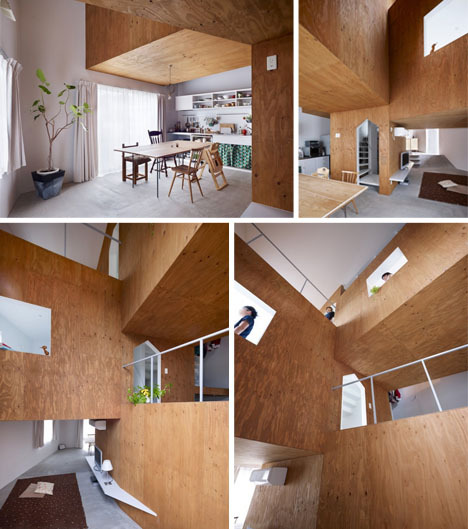 The interior of the main white volume of the home is filled with plywood ‘boxes’ that cordon off various rooms, creating three levels. 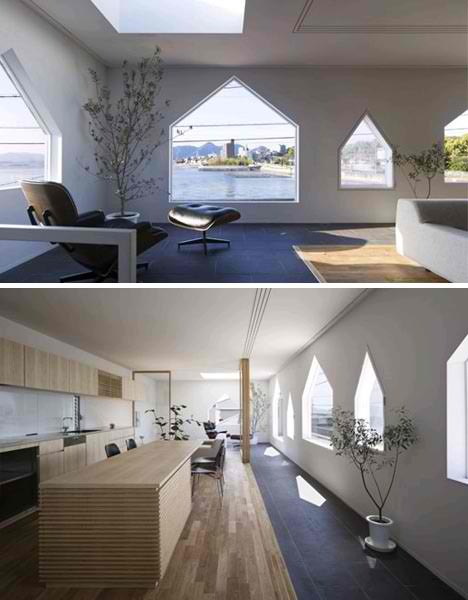 The rooms have windows that open to the main ‘atrium’ living area. 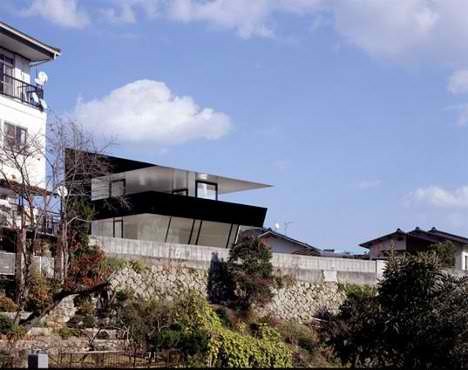 Dark and dramatic, this structure looks more like a monument than a private residence. 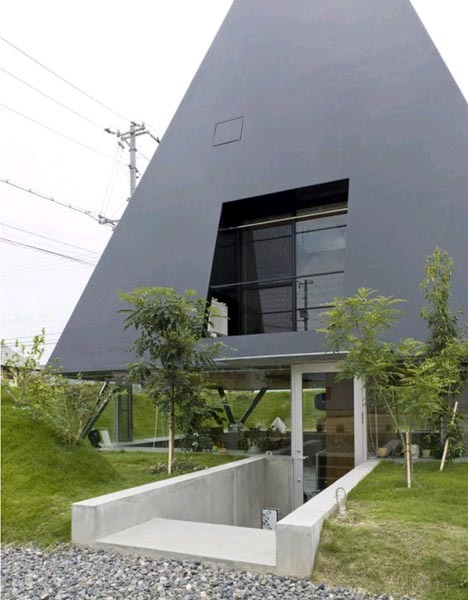 The triangular-shaped dwelling sits atop a first floor that has been covered in earth on all sides for privacy and temperature control. 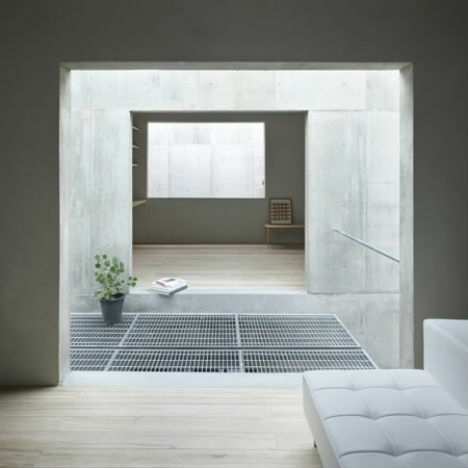 As modern as it may look, the home was inspired by traditional ‘pit houses’ of Japan, which have been in use for nearly 2,000 years. 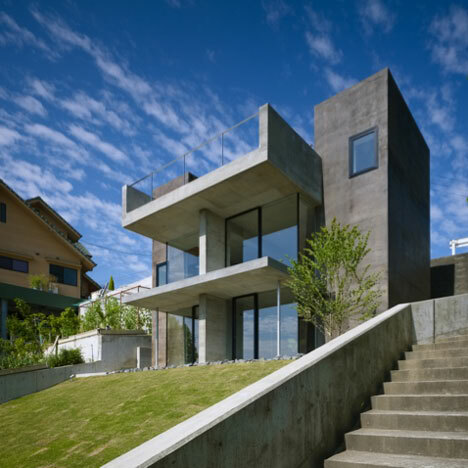 A nod to more conventional home shapes can be seen in the windows of this large, rectilinear house on the beach. Suppose Design gave the home a fluid, changeable layout inside that’s free of the constraints of most residences, using floating wood platforms and mobile wood-and-glass partitions. It looks as if some giant came along, lifted the corner of this house and slid a concrete wall beneath it. 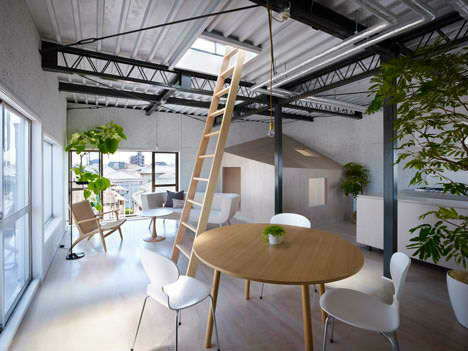 It’s an extremely unconventional and creative solution to letting daylight into a home while maintaining optimal privacy for its inhabitants. This raised corner also creates a private courtyard – one of three offering bright and airy spaces shielded from the street. 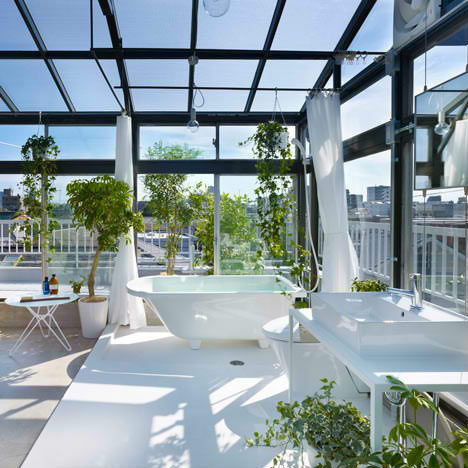 A three-story house in Ekoda, Tokyo, has been renovated to create six apartments – and, most notably, to include an incredible bathroom in the rooftop conservatory. 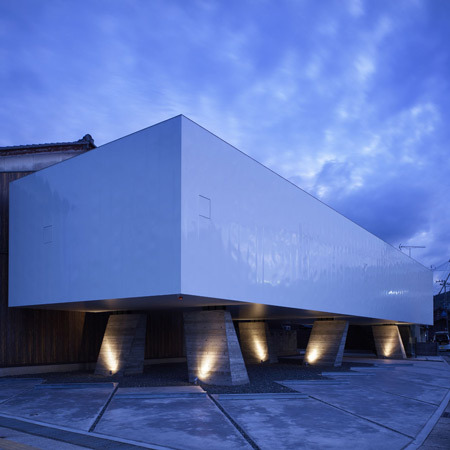 The ceilings inside were removed to expose the bare steel frame of the building, and new rooms were created from pale wood. 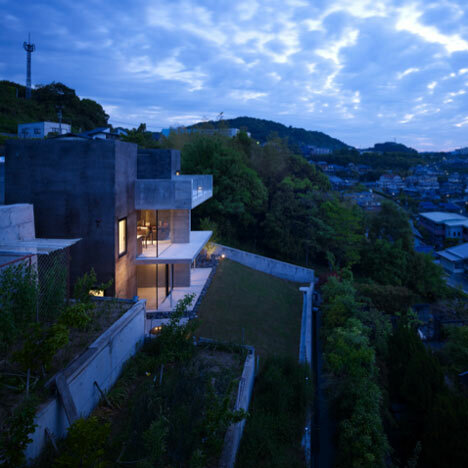 Built into a hillside beneath a road, House in Fukuyama is almost entirely open to views of the city on one side, with the rest of the home shielded from the eyes of neighbors. 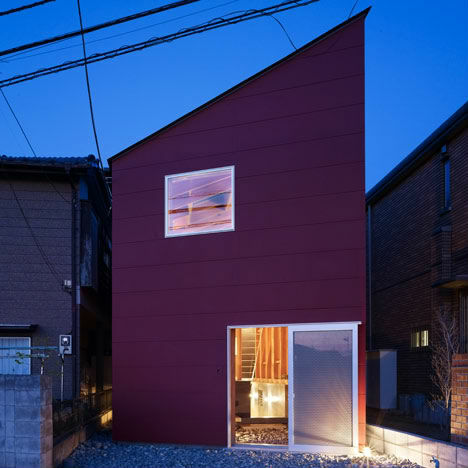 The roof of the home is level with the street, requiring visitors to descend into its interior via cantilevered stairs.